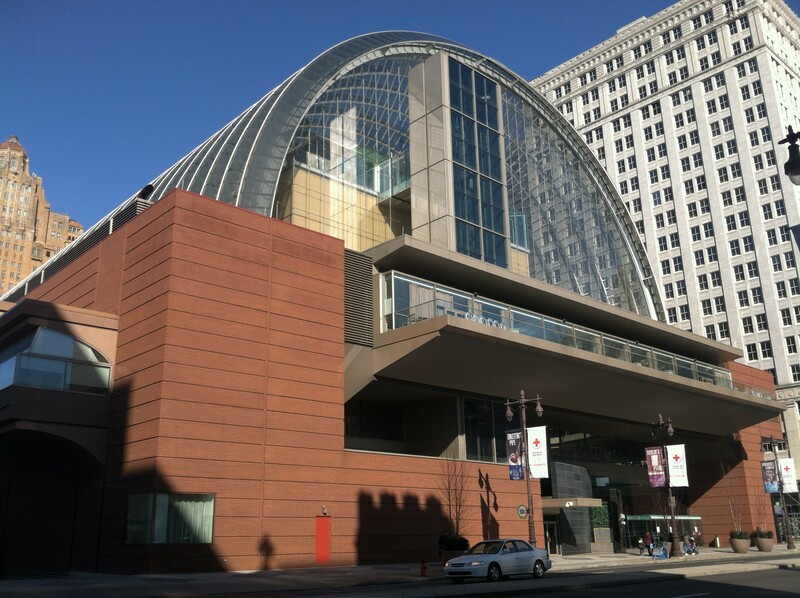 The Kimmel Center is the centerpiece of the Avenue of the Arts, being the home to many of Philadelphia’s foremost performing arts organizations, including the Philadelphia Orchestra. The circular glass roof is unmistakable, and is the building’s dominant feature. It opened in 2001 to replace the Academy of Music as Philadelphia’s primary performing arts venue, and hosts a variety of concerts and shows. The majority of visitors will go to Verizon Hall, home of the Philadelphia Orchestra. It is shaped like a cello, allowing for some of the best acoustics in a venue of this size. It seats 2,500, with 4 tiers of seating. It is by far the largest of the theaters, and home to the major events that come to the Kimmel Center. It also has a massive pipe organ, which is used in many classical concerts. The Perelman Theater is the second largest, seating 650. A roof garden is located above the Perelman Theater. Much of the interior of the center is part of a massive atrium, with the aforementioned glass ceiling overhead. Here you can buy tickets for upcoming events, as well as see the calendar for upcoming events. There are posters for various events around this space, and there is usually a considerable amount of activity before performances. There are balconies around the room, as well as stairs leading to the upper tiers of the performance halls. There are a few dining options here, including the Dining Room at Volver, which includes food from Jose Garces, made famous by Food Network. There’s also a bar between Verizon and Perelman Halls. The Philadelphia Orchestra is one of the most historic orchestras in the United States. It’s conductors have included Leopold Stokowski and Eugene Ormandy, and is currently Yannick Nezet-Seguin. On special occasions, they were conducted by Sergei Rachmaninoff and Richard Strauss. They were the first orchestra to make an electrical recording, and the first orchestra to be broadcast over the radio. In the 1970s, they became the first American orchestra to perform in the People’s Republic of China. It is considered part of the “Big Five” American orchestras, along with those of New York, Chicago, Boston, and Cleveland. They played in the Academy of Music from the time of its founding until 2001, when they moved to the Kimmel Center.